The presidential draft law on the specifics of state policy to ensure Ukraine's state sovereignty over the temporarily occupied areas of Donetsk and Luhansk regions, adopted by Parliament Oct 6, 2017, gives the head of state the right to use the Armed Forces of Ukraine (AFU) exclusively within the territory of Luhansk and Donetsk regions, Secretary of the National Security and Defense Council Oleksandr Turchynov said while presenting the Bill in Rada. "Now about the use of our Armed Forces. Dear colleagues, stop reading Facebook, read the law! 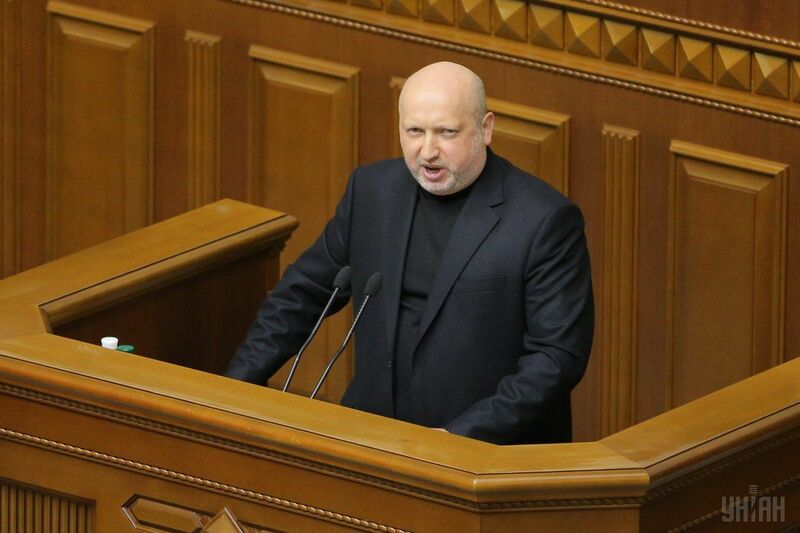 There's a clearly limited area of application of the Armed Forces by the president, and that's Luhansk and Donetsk regions, aimed at the liberation of the occupied territories," Turchynov said. Read alsoRada recognizes Russia aggressor state as Donbas reintegration bill passes 1st readingIt is worth noting that immediately after Turchynov's address and directly during the vote for the presidential bill on Donbas reintegration, MPs from the Svoboda Party again set up a scuffle in front of the parliament rostrum. However, the attempts to hinder the voting process have failed as the Rada passed the bill in its first reading.